Based on a strong experience in medical devices, the founder of Askorn was willing to give an opportunity to orthopedic surgeons to develop and materialize their ideas and concepts related to implants and instruments. Askorn is born and sets up near Rennes, Brittany. The quality management system established by Askorn obtains the ISO 9001 & ISO 13485 certifications by AB Certification. Askorn moves into larger premises in Cesson-Sévigné. Transfer of the ISO 9001 & ISO 13485 to the notified body SNCH. CE-marking of the first class IIb implantable device fully designed by Askorn. 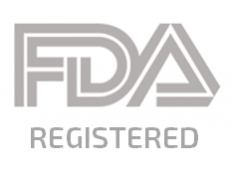 Askorn is registered with the FDA. First placing on the American market of an Askorn-designed medical device. Askorn’s skills evolve and lead to the CE-marking of three new implantable class IIb medical devices. 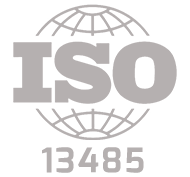 Change in notified body: Askorn is now ISO 13485 certified by the French notified body LNE / G-MED. Askorn now gathers 6 active persons including three engineers and a quality manager. The team gradually builds up a tangible experience on quality and regulatory affairs management in the field of medical devices. Askorn now trains and supports several structures on both aspects. 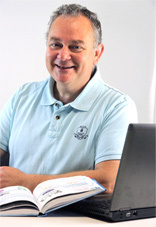 Founder and manager of Askorn, Denis is a mechanical engineer with great international experience in medical devices. He will be your privileged interlocutor for any new project. 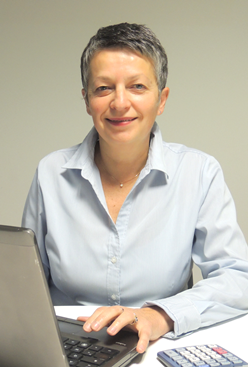 Marie-Thérèse joined the team in 2014, and is in charge of administrative and financial aspects. 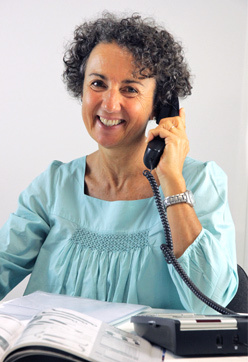 She will be your preferred contact for any accounting request. 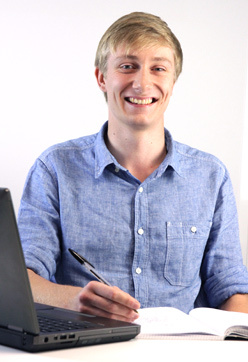 Benoît joined Askorn un 2013 after an internship. Graduated from a mechanical engineering degree, he will be ready to answer any technical request. Camille is a mechanical engineer, in charge of medical devices project development. Patricia is since Askorn's creation your sales representative. She will answer any quotation request with great pleasure. Goulven is in charge of the quality management system and Askorn's Quality and Regulatory affairs manager. He will be your preferred interlocutor for quality related requests. Earth, air and water, limited natural resources, human life in the mutual respect of each other in their environment constitute the fundamentals of social life. Askorn is attentive to the place of human being in his environment. Working with ESAT Bourcheuvreuil (Brittany), a work place dedicated to the integration of handicapped persons in the world of work. Signed the charter “Ya d’ar brezhoneg” (Yes to Breton language) which encourage the use of Breton language in public activities, in social life and in the economy. Use of an ISO 14001 certified carrier, which assure a carbon-free delivery of our parcels. Askorn offers its services and support its customers on areas such as regulatory, quality management, design and production. Our customers are in various kinds: independent surgeons, agents, distributors, start-ups and producers of medical devices either national or international. Askorn has made one of its objectives to tailor its activities to the requests and needs of its customers. Why working with Askorn? In what way your offer differs from those of other medical device companies? Thanks to our experience we master all segments which lead to the success of your projects, from the initial concept definition to the batch manufacturing of sterile CE marked products. We manufacture exclusively in Europe through a network of certified, experienced and followed up partners. Our long lasting experience in medical devices guarantees a functional product, ergonomic and matching the expectances of the surgeons and the medical staff. I am a surgeon and I wish to develop an innovative concept. Can I call Askorn directly? We provide our surgeon customers with a structured and transparent approach which allows the transformation of a concept into a ready to use product. It can be for your personal use or for sales distribution. I am a medical device manufacturer and I need to subcontract all or part of a project. Can I talk to Askorn? Yes, you are welcome to. It could well be that you are lacking R&D resources to develop your projects/products, but you do not want to invest more in the current resources as it is a peak activity : we are able to take on board or to assist you in any of the steps you need to sub-contract. The flexibility of our structure and our organization allow us to be effective in a record timeframe, whatever the status of the project is. I am a medical device distributor, and I wish to create a new instrument on the basis of an existing instrument or not, in order to adapt it to surgeon specific needs. Can I contact Askorn to manage this project? As a distributor it is not always easy to get access to expert resources in order to modify or create a product, and it might not be possible for your supplier of medical devices to do it for you. Askorn will help you there. On the basis of your specifications or directly with your surgeon, we will be able to supply you with a CE marked instruments corresponding exactly to the needs and technique. I want to protect my IP. Are our exchanges confidential? Protecting your ideas and concept is a very important matter for Askorn. The first contact Askorn will have with you will be asked to sign a mutual None Disclosure Agreement (NDA). Any person working for Askorn is bound by an NDA too. If needed, Askorn can also help you evaluating the technical and business aspect of your innovative concept and accompany you to get an international patent. Are you specialized in medical devices? Askorn Medical is indeed specialised in medical devices as 100% of our developments are in this field. Owing to our experience, the orthopaedic area is the majority of our developments: hip, knee, shoulder, elbow, spine, prescriptive products, trauma, extremities and instruments. We also have experience in many other medical fields such as light therapy, cryotherapy, among many others. Is Askorn ISO certified or FDA registred? Since 2009, Askorn Medical is ISO 13485 certified by a notified body. We are also registered by FDA under the number 3008880500. 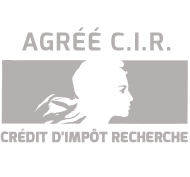 Do you have a « CIR » agreement? Askorn Medical was awarded this certification owing to its R&D activities. As a consequence any French company may get a rebate of up to 25% on its taxes for R&D activities performed by Askorn. For more information do not hesitate to contact us. We would be absolutely delighted to meet you, either in our offices in Rennes (Brittany France), or to come and meet at your place, to exchange on your projects. Please just call us or send us a mail! Copyright © 2019 Askorn. Disclaimer - Created by Imagic.